While many American’s will eat a hot dog today, the 4th of July, one man has made it his living to shove as many as he can down his throat in the annual Nathan’s Hot Dog Eating Contest. 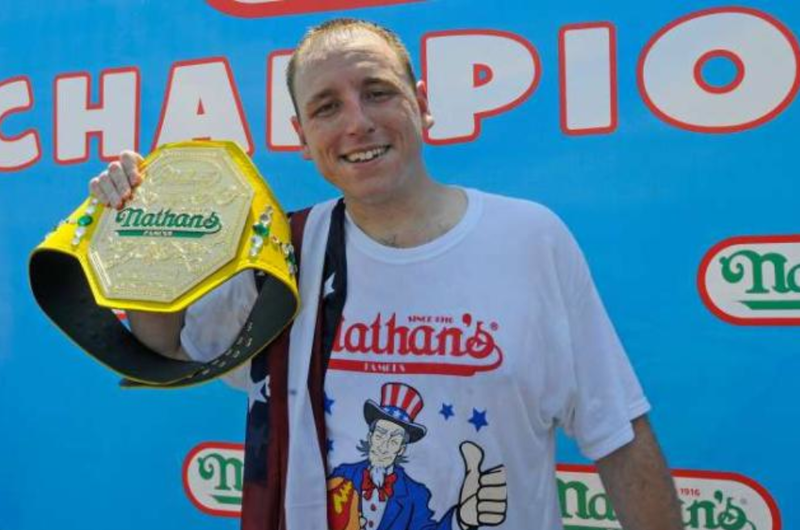 Joey Chestnut has won the last nine Nathan’s Hot Dog Eating contest and this year’s will again take place on Coney Island beginning at 10 am ET. The woman’s event will start around 11 am airing on ESPN3 and WatchESPN. The Men’s event will begin airing on ESPN2 with the eating to start around 12:40 pm. Chestnut will again be the guy to watch this year. He holds the world record of eating 69 hot dogs in 10 minutes. The defending champion on the woman’s side is Miki Sudo who ate 34 hot dogs a year ago.